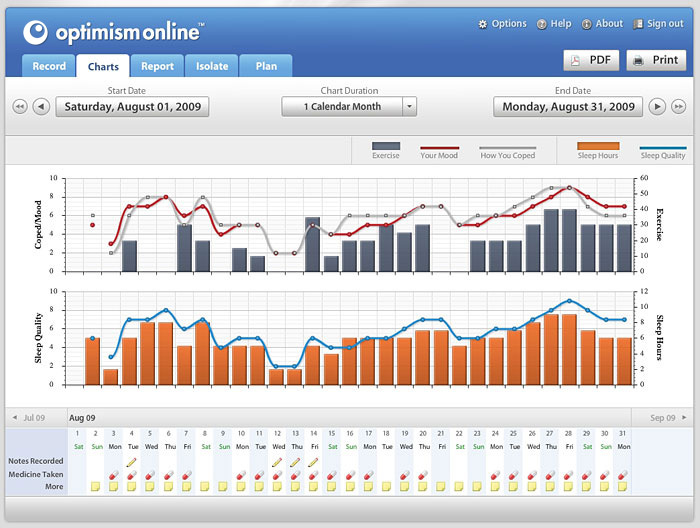 It appears that Optimism Apps is having a half-price sale — I believe for today only. Today the software is $19.95 instead of $39.95. They also have a free iPhone version when you purchase something. 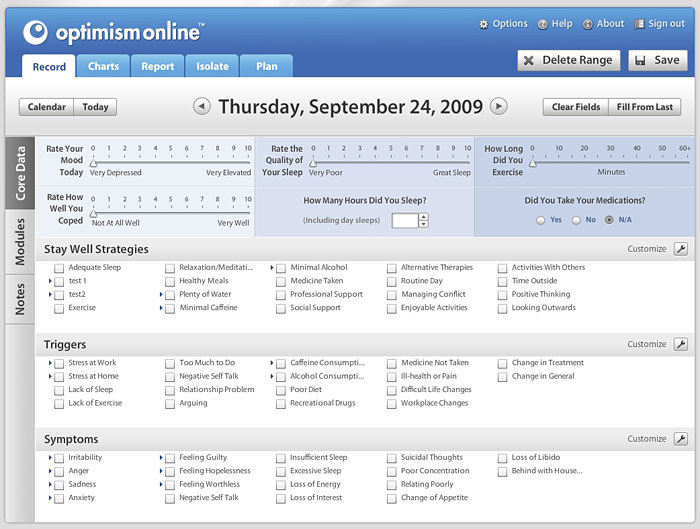 Clients enter a daily record of their mood, symptoms, and triggers. They also track the quality and amount of sleep, medication compliance, exercise, and a host of “stay well strategies” (walk, call a friend, etc.). Space is provided for notes, customization, and development of an online wellness plan. Reports and graphs may then be generated to show what works and what does not. One client may find that 3 days of exercise tends to improve mood. Another may find that regular water, meals, and meds does the trick. selected clients. If you are one of my clients and want to utilize this software system, please talk to me about how we can work together with it. So far clients I have shown this to have been excited by the possibilities of really finding out over time what does and does not effect their mental health.